I had a couple questions i was hoping i could get some answers to. Im new to using my tig machine and was trying to figure out some things. Whats the rule of thumb on the thickness of the tungstens vs the current or vs the thickness of the steel. I looked in the Electrode, Filler & Gas Selections thread and saw that the Green(pure) tungsten is for AC welding. 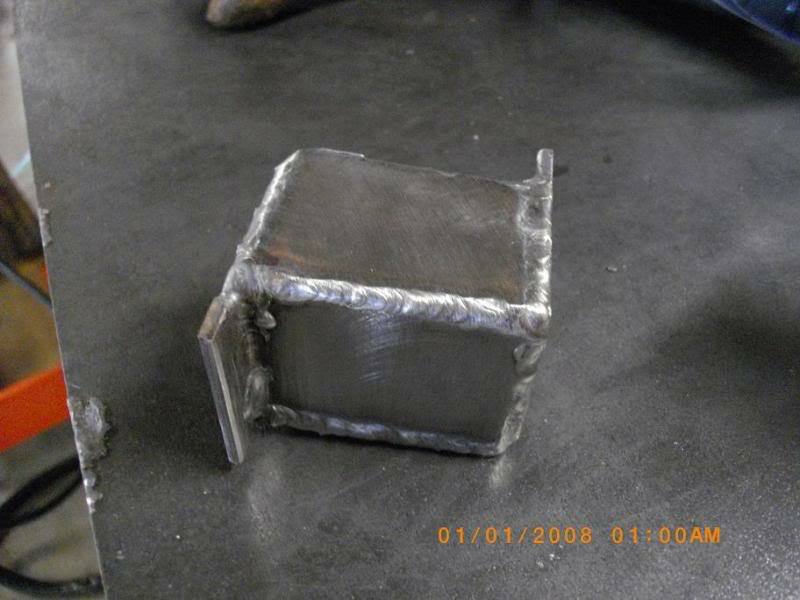 What is the side effect of using it when DC welding. From the tig welding basics video it says the other style electrodes it helps carry more current, is it really that noticeable? How do you gauge the size of the cups. I have tried multiple cups welding the same thing and didnt really notice a difference. I was just welding 2 1/8 pieces of steel together. Should you use a larger cup based on current or based on distance the torch is from the material. 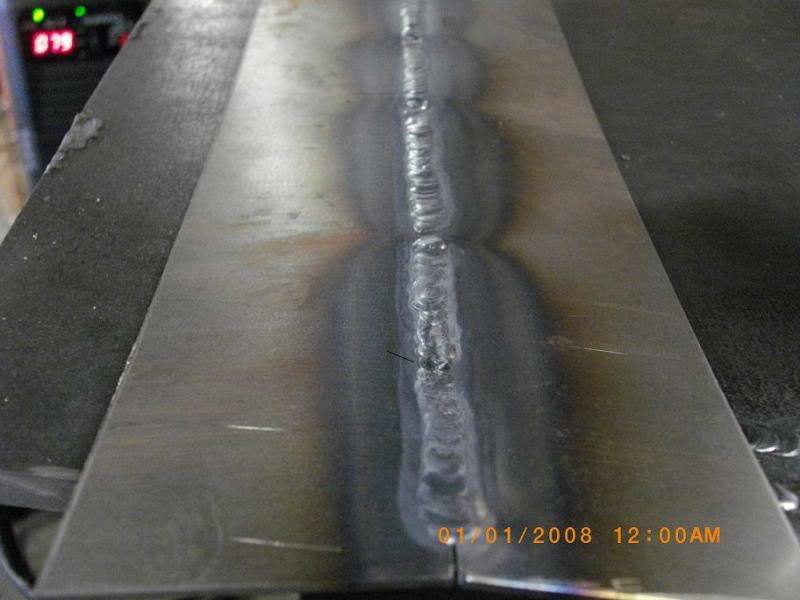 Welding dissimilar thickness materials current setting. I was welding some piping to plating(exhaust flange to pipe) and was wondering what you do with the current settings. Do you want to keep the current up to be able to penetrate the flange or do you just want to keep the current where you would typically weld the piping. I noticed when i turned up the current it would melt the piping very quickly, so is it just a game of keeping the arc on the flange and dipping into the piping? i watched all the videos from Tig welding basics, and working with tubing and it helped out tons. Thanks for the input. Whats the rule of thumb on the thickness of the tungstens vs the current or vs the thickness of the steel. I looked in the Electrode, Filler & Gas Selections thread and saw that the Green(pure) tungsten is for AC welding. What is the side effect of using it when DC welding. From the tig welding basics video it says the other style electrodes it helps carry more current, is it really that noticeable?Pure Tungsten can't handle as much current/heat. It is ok for AC, up to a point. I use a Miller 350, so I go with an alloy and thicker tungsten when I go over 250a. How do you gauge the size of the cups. I have tried multiple cups welding the same thing and didnt really notice a difference. I was just welding 2 1/8 pieces of steel together. Should you use a larger cup based on current or based on distance the torch is from the material. Adjust cup size to the size of the weld. Welding two 3/4" pieces together will need more gas coverage than two 1/8" pieces. A #8 cup is consider "general purpose". And keep your gas flow between 15-20cfh. I was welding some piping to plating(exhaust flange to pipe) and was wondering what you do with the current settings. Do you want to keep the current up to be able to penetrate the flange or do you just want to keep the current where you would typically weld the piping. I noticed when i turned up the current it would melt the piping very quickly, so is it just a game of keeping the arc on the flange and dipping into the piping? Yes, but pedal play comes into effect as well. Lift off a bit as you go onto the thinner material, this will keep you from rushing yourself. There are some decent vids on youtube as well. Congrats on getting a TIG. Just be careful of the sunburns. Thanks for the info.. Here are some pics i took. Any pointers from anyone? nice job for your second day. impressive. 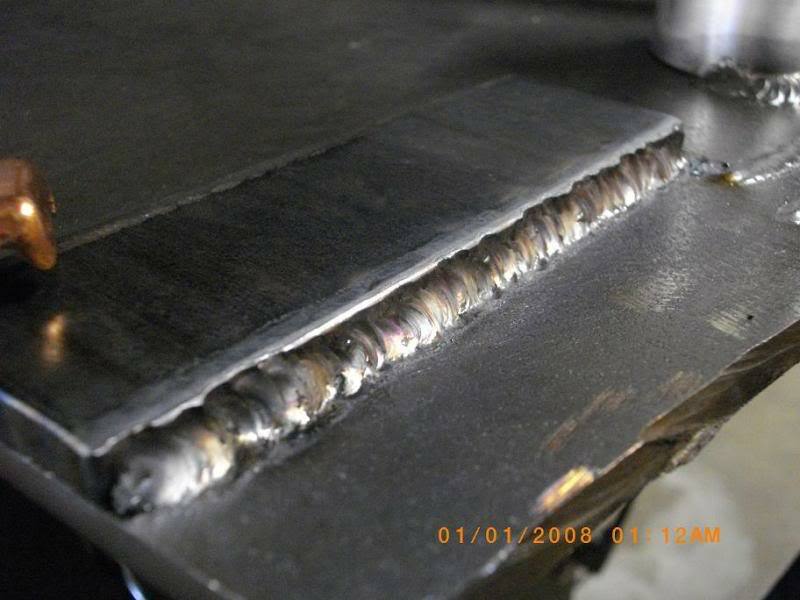 the key to great looking tig welds is clean material and a good machine. 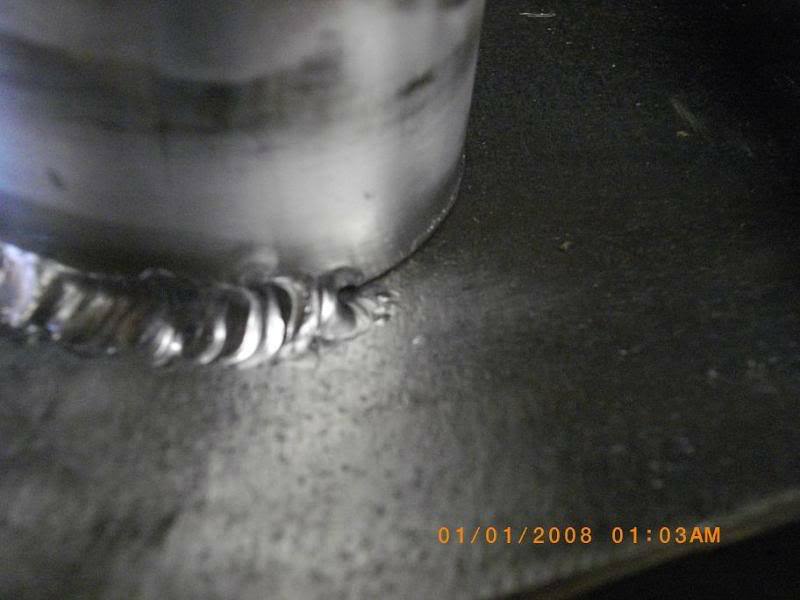 steel and stainless steel tig welding is very easy. the hard part is aluminum welding. what machine do u have? 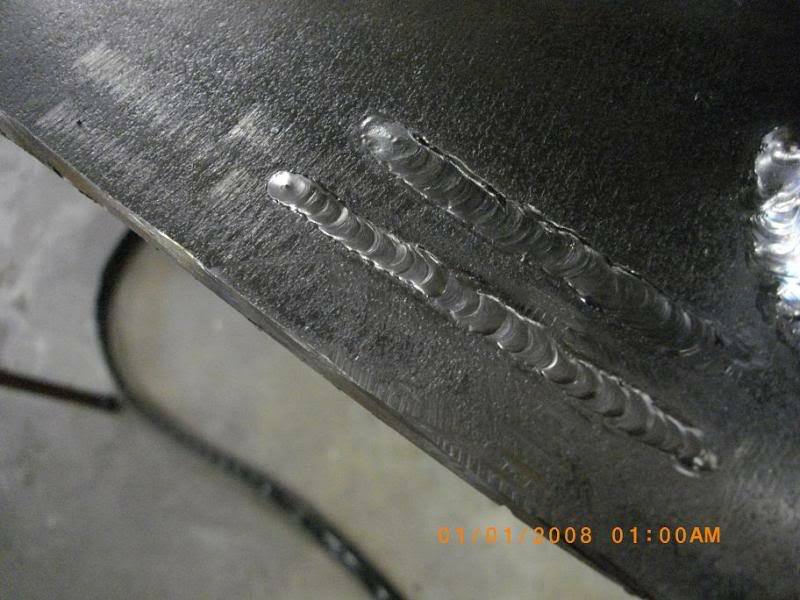 when welding different thickness material always focus the arc on the thicker metal and melt it before you move to the thinner metal or blow through will always occur. gravity is your friend. focus the arc on the thicker metal and let gravity move the molten metal to the thinner metal. this will limit blow through. Very nice for day two! To test myself in the beginning, I got some 16 ga. square tube to play with. I would cut it, then fusion weld it back together. This makes you learn pedal control and pushes you to control your puddle. If I blew through, I would later go in with filler, then ------ it out as much as possible, again, to learn puddle control. With aluminum, I used soda and beer cans, bottom to bottom. It's thin material, and cheaper than buying it. Plus, it gives you an excuse to drink more, not that you needed one. "Need information on putting a turbo in my D16 ex please"
a little information about "Street Racing"